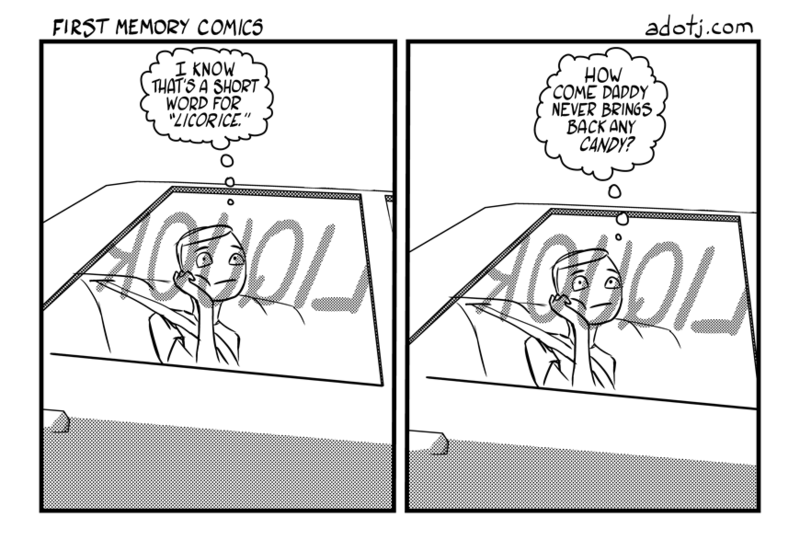 Marlo Meekins tweeted about doing an “earliest memory” comic. This was one of those memories that strikes you out of nowhere because a link between two different concepts in your brain had finally been formed. I have a similar memory about asking for a sip of my dad’s orange juice and it tasted AWFUL. It wasn’t til I was about 27 and making Screw Drivers at home when it finally occurred to me why it tasted so bad. VODKA IN THE ORANGE JUICE!